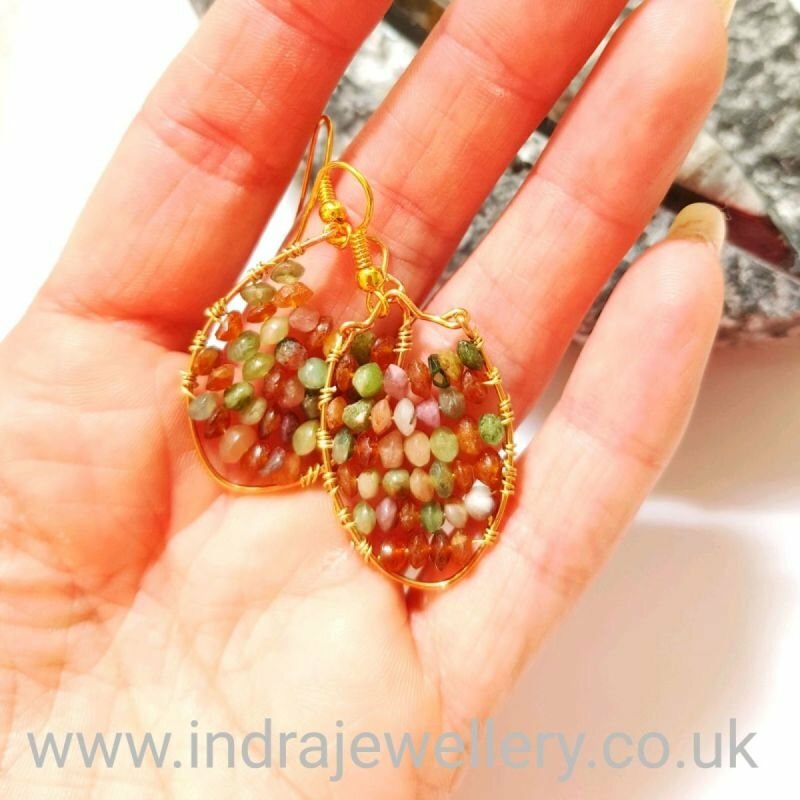 This is a gorgeous pair of earrings which are boho chic in style! I have created wire frames and wrapped lines of watermelon tourmaline beads inside the frames to create this individual and one of a kind look. They have been finished with gold plated hooks and I have added a penny to the third picture to give an idea of size.